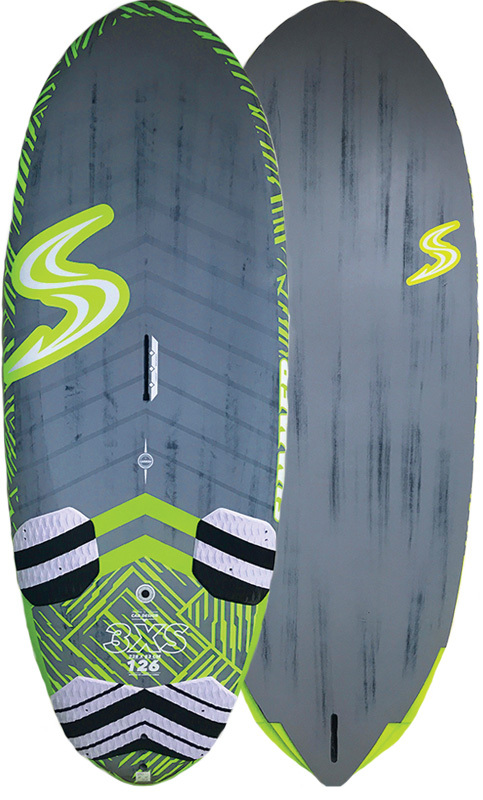 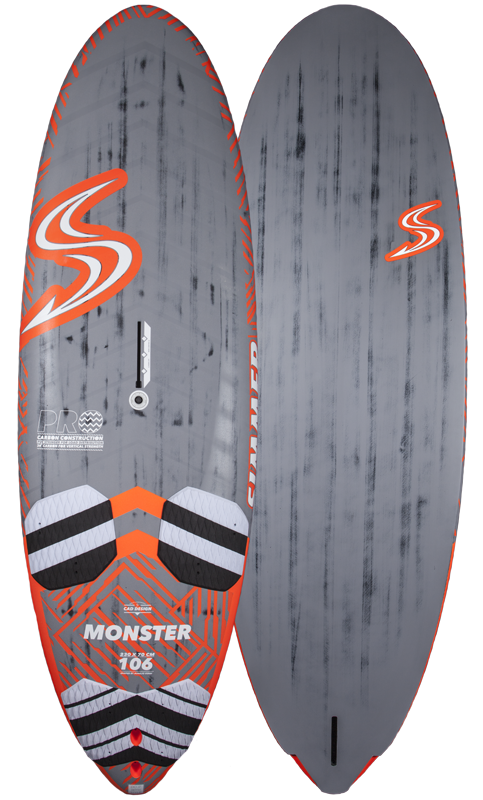 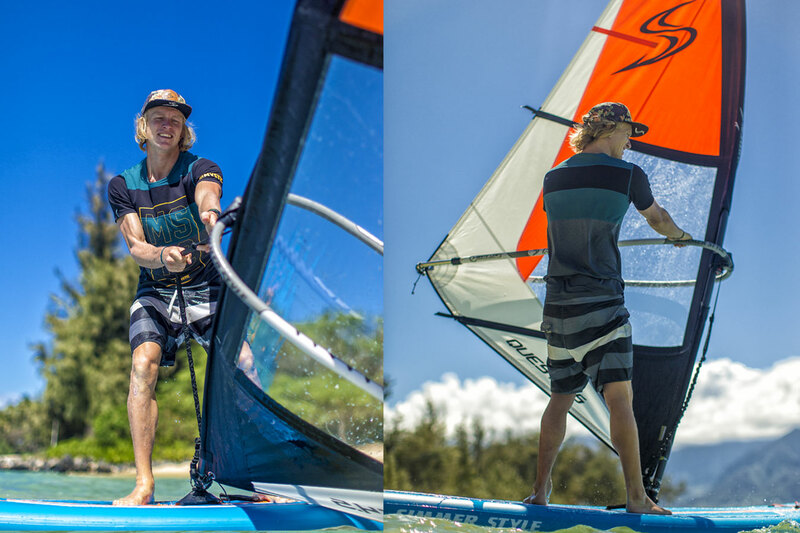 The Makana iWindsurfer is the ultimate entry-level windsurfing board for all ages. 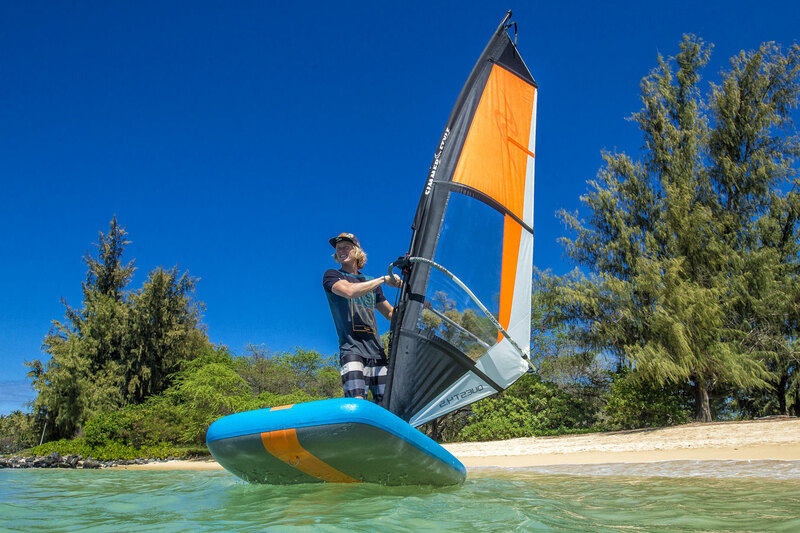 It is remarkably stable due it's generous width and volume, and also the perfect school board for aspiring first time windsurfers of all ages to develop their Windsurfing skills. 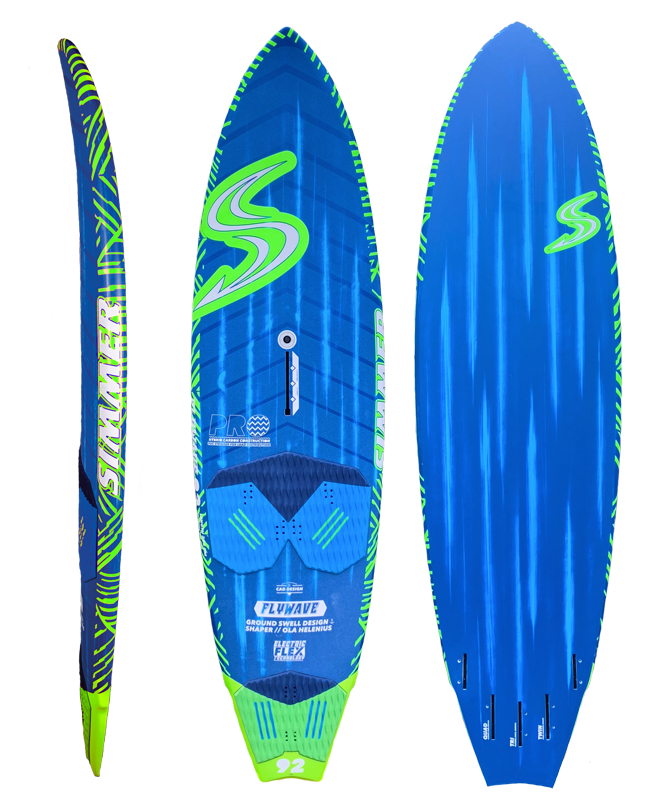 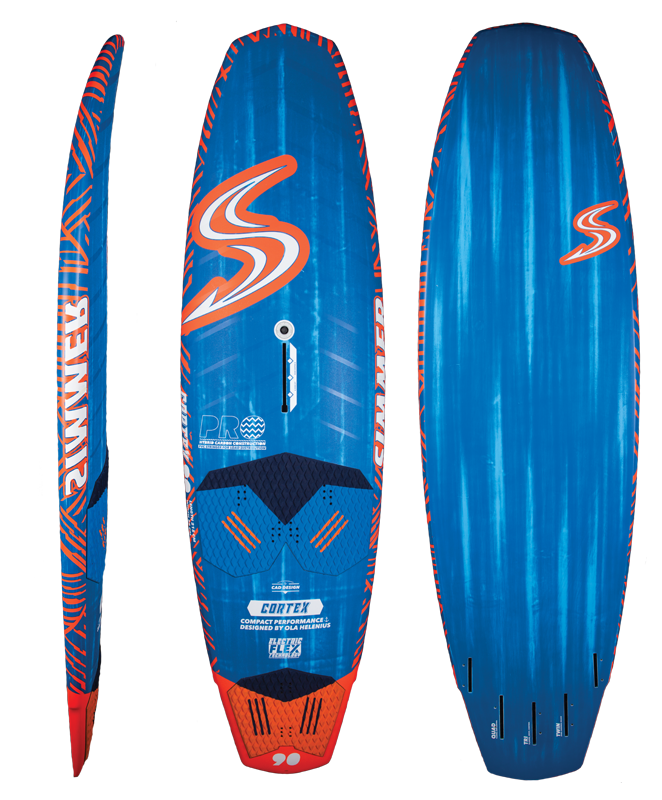 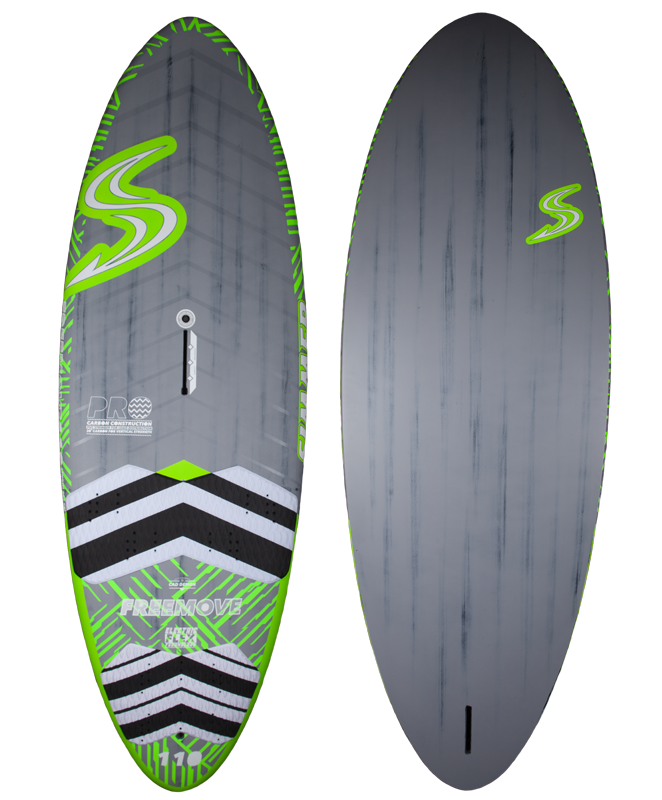 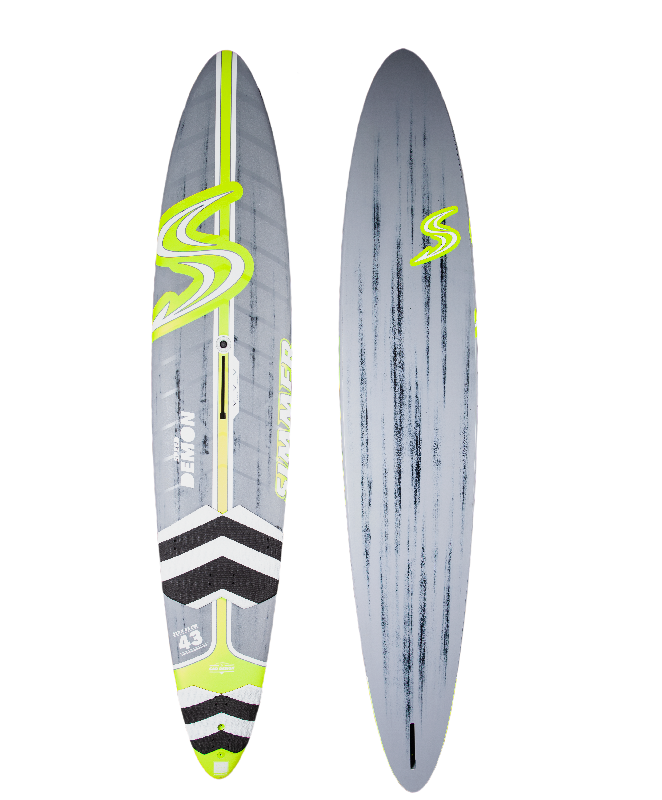 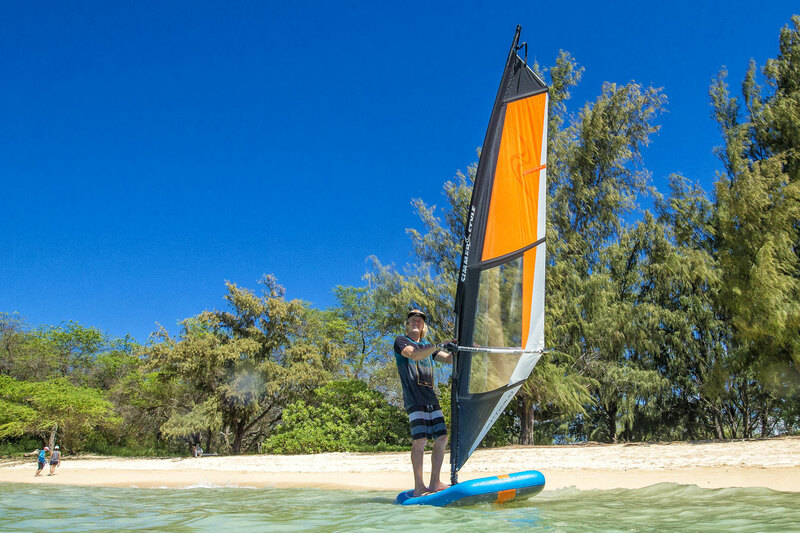 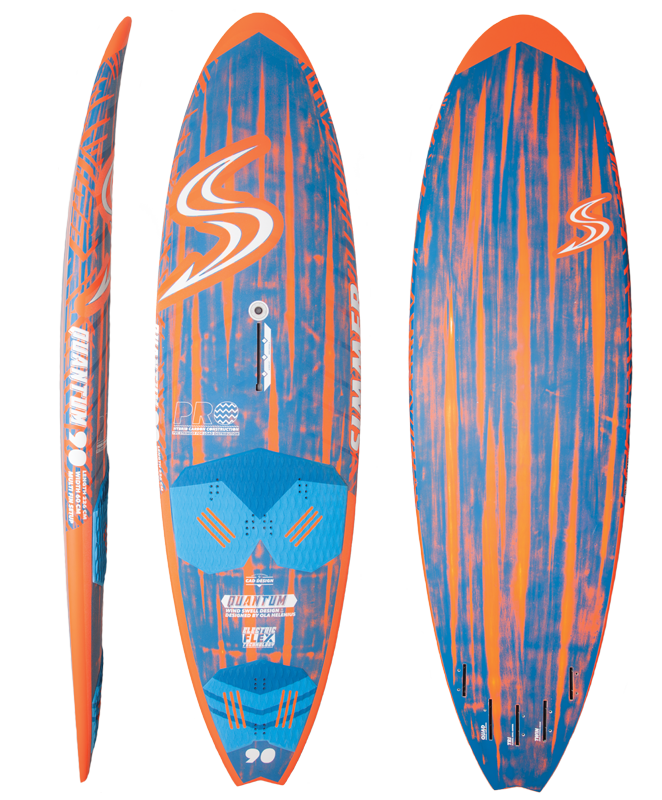 The Makana iWindsurfer is very durable and easy to maneuver for lighter riders, and is also very safe and forgiving. 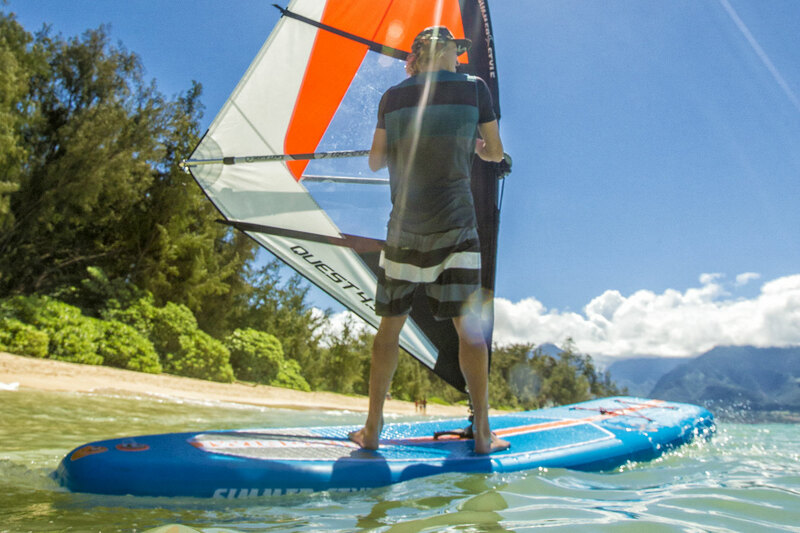 It features superb upwind tracking ability thanks to the center fin. 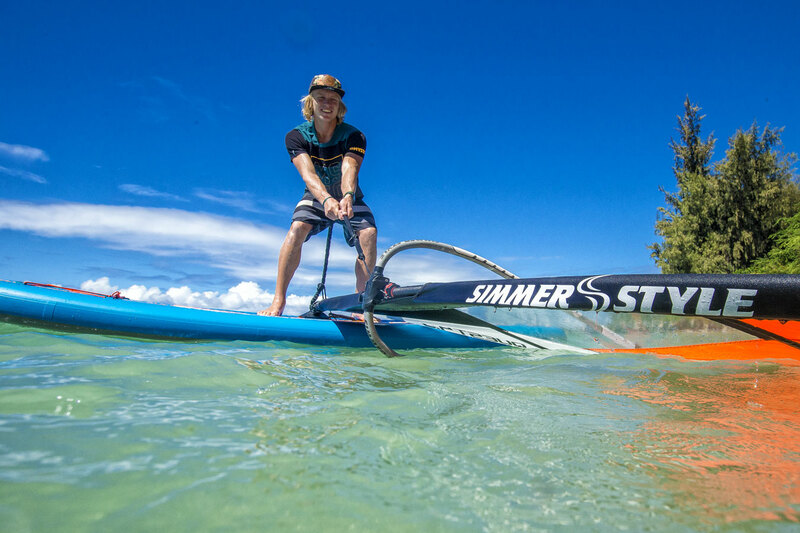 Simmer Style Makana is an exciting product that will revolutionize the way schools around the World teach people how to windsurf. 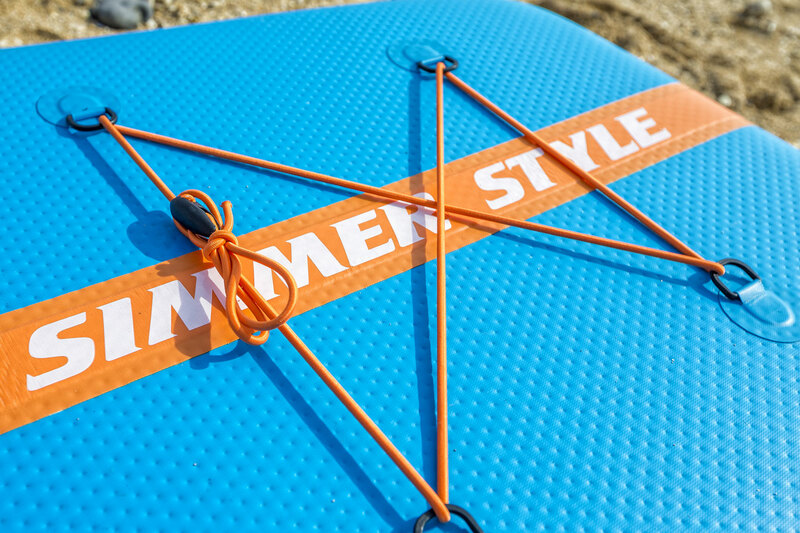 Designed using our latest single layer drop stitch Material which is 15-20 % lighter than any other double layer drop stitch construction. 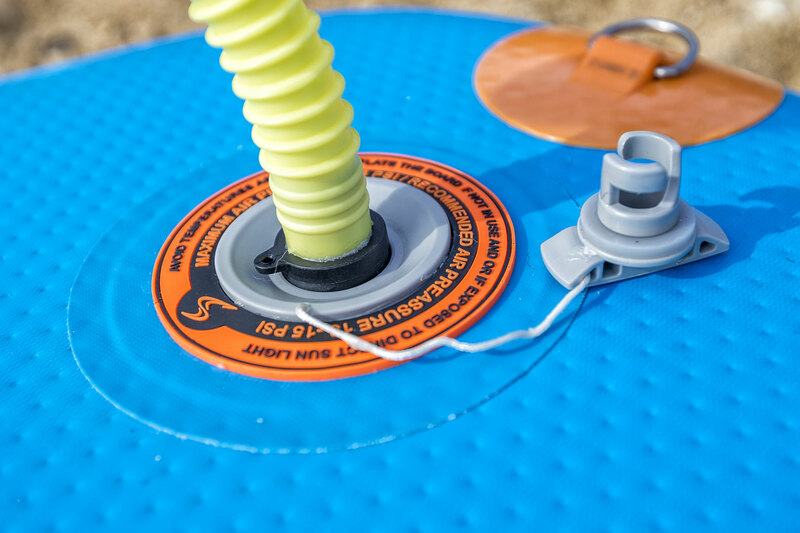 The Dynema stringer on the top and bottom for rigidity and stability. 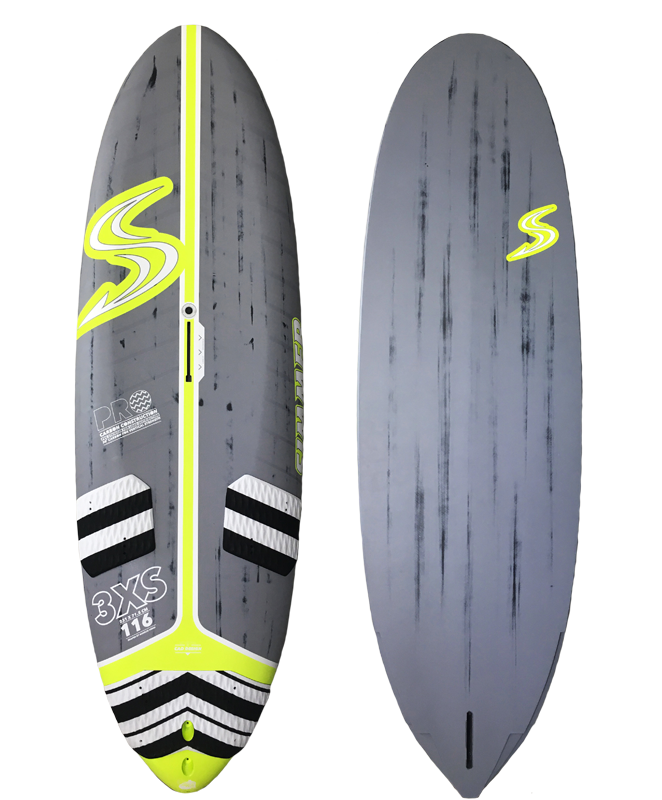 Double PVC reinforced rails makes the board stiff and durable. 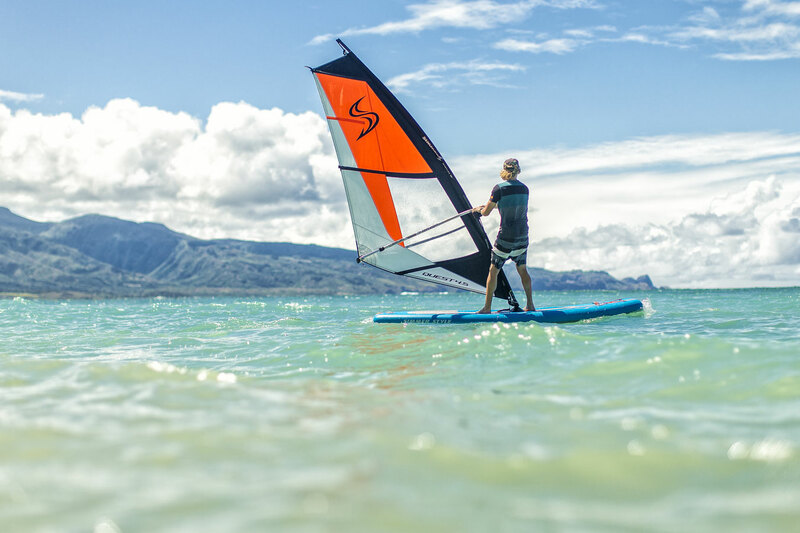 Makana's shape represents the latest developments with a straighter outline for superb tracking on all points of sail, greater stability with a wider tail for enhanced maneuverability. 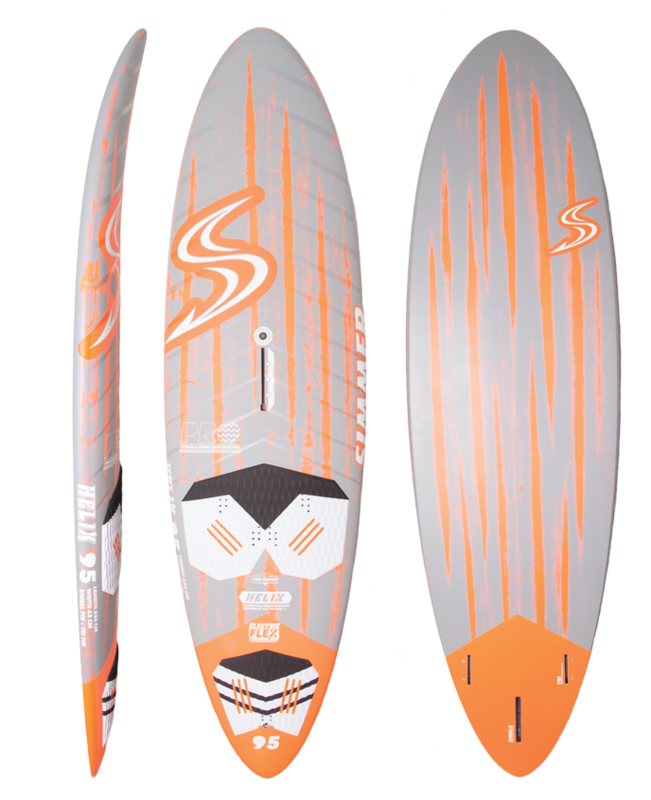 // Superb glide and tracking. 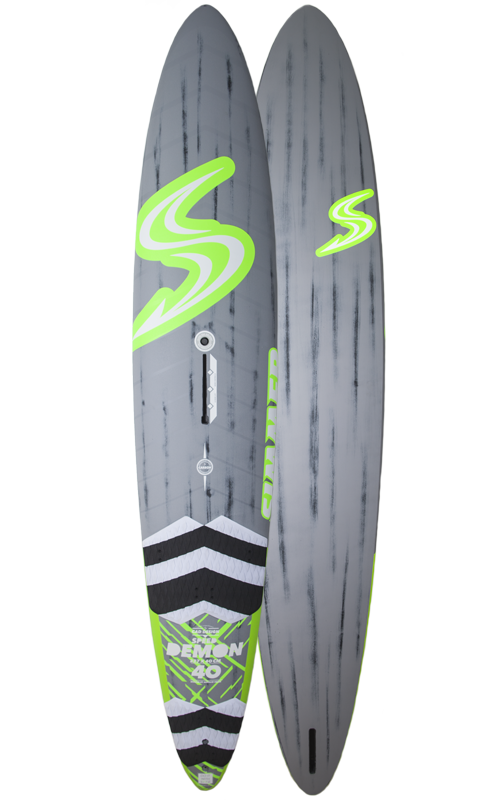 // Square tail for quick turning. 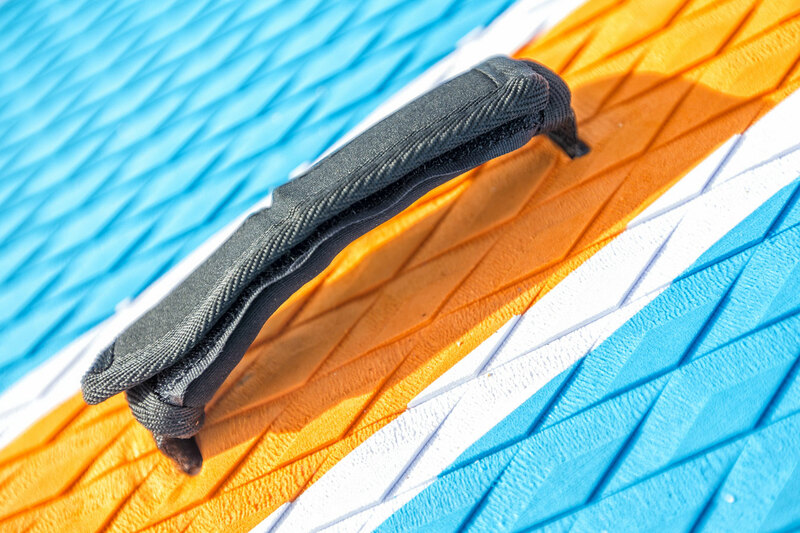 // 3 mm diamond EVA deck pad. 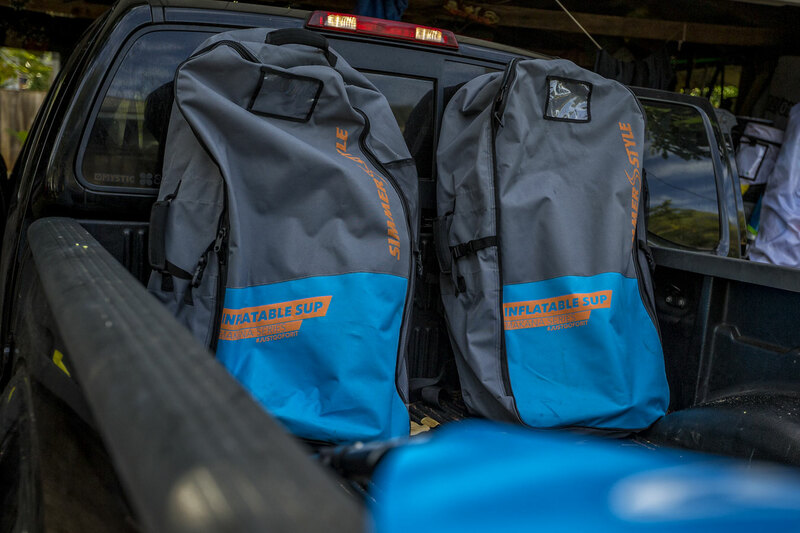 // Dyneema stringer on top and bottom for extreme stiffness. 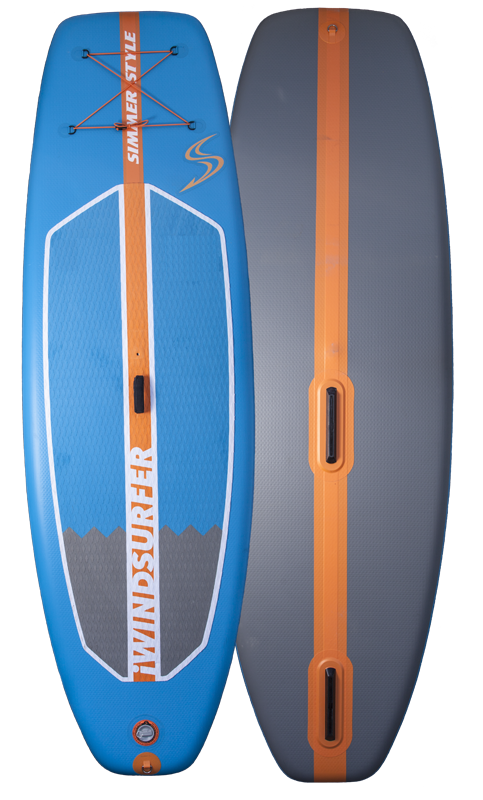 // Packs up in a easy to carry backpack. 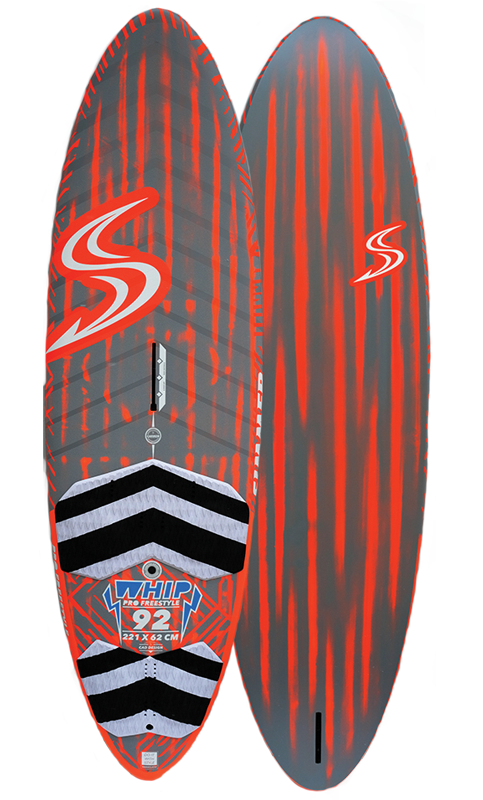 // On board tie-down rops.